Rob Redei: Bio & Choral Music | Santa Barbara Music Publishing, Inc. 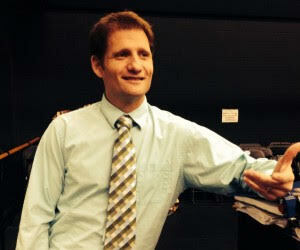 Rob Redei received his BA in music and English from the University of Pennsylvania, and Master’s of Music Composition degree at the University of South Florida. His music spans a broad range of styles and genres, and has been performed and recorded in the U.S., Europe and Japan. Rob was a finalist of the 2007 Robert Hleps International Composition Competition. He has had works performed and recorded by Ensemble Pi, the Kiev Philharmonic, The University of South Florida Percussion Ensemble, La Caccina, the TFO Brass Ensemble, The Wicker Park Choral Singers, and the CSO String Quartet. Rob Redei has 1 titles published with Santa Barbara.